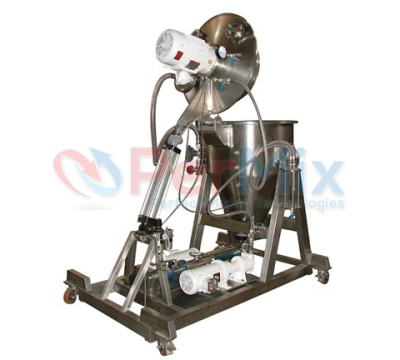 The PerMix PDA series Vacuum Deaerator is a totally compact sanitary device designed for the continuous automatic removal of air or other occluded gases from any type of liquid or paste, by means of vacuum. Processing of liquid products often incorporates air and unwanted gases into the product. These gases normally cause problems such as oxidation, discoloration, inconsistency, bad smell and filling difficulties. 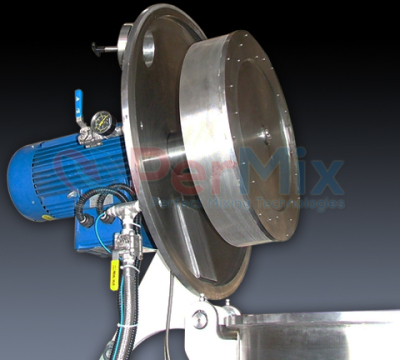 The PerMix PDA series Vacuum Deaerator operating principle comprises the formation of a fine layer of product, distributed in a thin layer on a centrifugal disc with a sieve. 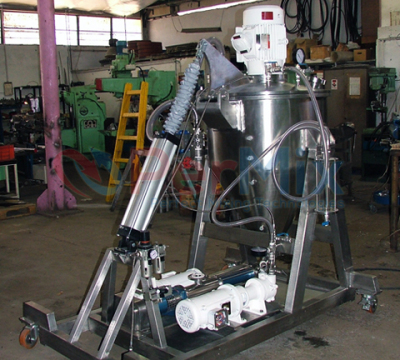 It is then sprinkled by means of a screening frame into a vacuum chamber, depending on the viscosity, speed and design of the distributor plate. As a result of the vacuum effect, the air bubbles are burst and the deaerated product is discharged through the lower part by means of a positive displacement Mono or other type of pump. 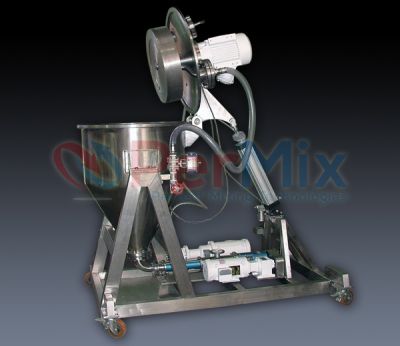 The PerMix PDA series Vacuum Deaerator can handle numerous processes including (but not limited) the manufacture of food products, cosmetics and chemicals amongst others, need to avoid air oxidation to ensure a correct preservation or application. End products can be mentioned, such as sauces, fruit pulp, cosmetic creams, syrups, PVC dispersions, lubricants, car polish, shower gels, paraffin and penicillin emulsions, ice creams, adhesives, etc.